Retailing at only $220 the Sigma 70-300mm F/4-5.6 DG Macro lens is one that a wild life photographer would be interested to get a look in. there are currently five 70-300mm f/4-5.6 lenses being sold by Sigma and this one is by far the cheaper of the lot together with the 70-300mm F4-5.6 DG Macro (Motorized). Many of the features that you would normally expect in a tele lens is absent in this one, making it a tough choice and a big trade-off between price and performance. 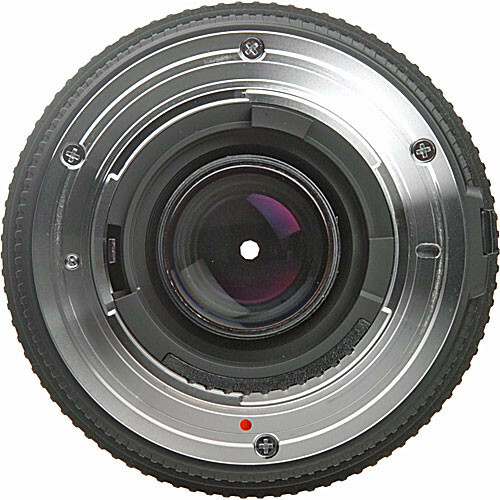 When you turn the focusing or the zoom ring the front elements of the lens rotates and extends making it neither discreet nor suitable for a circular polarizer to be used. 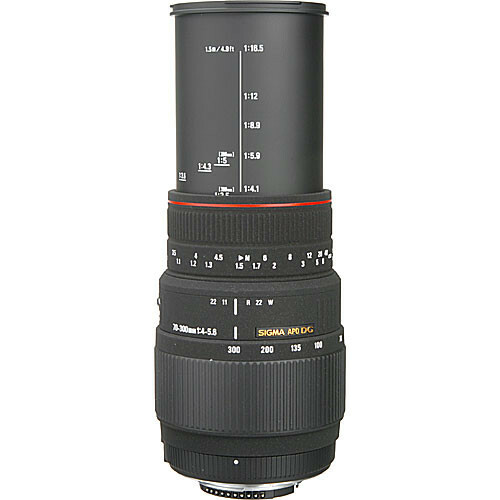 This lens has a big manual focusing ring which dominates the barrel externally. There are no full-time manual focusing available. Auto-focusing performance of the lens is nothing out of the ordinary. If you’re used to something like a HSM (Hyper-sonic Motor) lens from Sigma then expect a bit of noise when the AF motor engages. 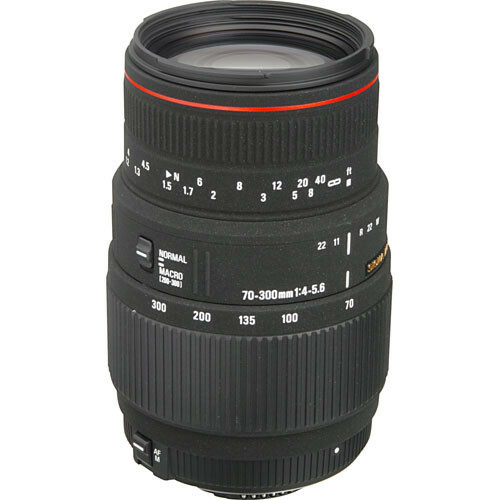 An interesting feature of these lenses is the macro mode which gives it a magnification ratio of 1:2. So if you’re interested in a bit of macro photography this lens can provide you with a little bit of opportunity for that (technically unless the lens gives 1:1 magnification it cannot be termed as a macro lens). it can be engaged when the lens has reached 200mm which allows the lens to focus closer. 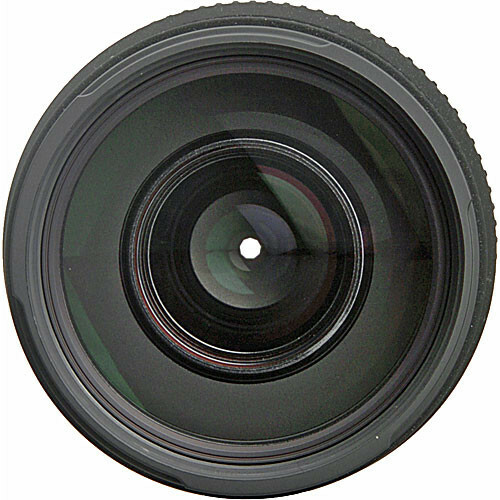 The construction of the lens includes 14 elements including one SLD (Special Low Dispersion) glass element arranged in 10 groups. External dimensions of the lens are 3.0 x 4.7” and weight is 530 grams.